MI5 has rejected calls from the families of the 52 victims of the 7/7 bombings for a review of its working practices in light of the inquests. The families raised areas with the coroner where they believed action needed to be taken to protect the safety of the public. This included nine points concerning the alleged failure by MI5 and the police to prevent the attacks. But MI5 said it had already learned lessons from the bombings. 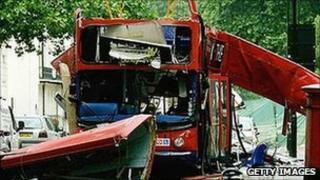 The inquests are ending after hearing almost five months of evidence following the 2005 suicide bombings on the London transport network. On Thursday, coroner Lady Justice Hallett heard submissions about what findings she should make under "Rule 43", which gives her powers to make recommendations during her verdicts. The recommendations relating to the security agency include improving its record-keeping and computer databases. MI5's lawyers said changes to its procedures had either been introduced already or carefully considered before experts decided they were not necessary. James Eadie QC said: "The evidence simply does not give rise to any concern about other deaths in the future or continuing risk." Patrick O'Connor QC, a barrister for relatives, said they were not trying to persuade the coroner that MI5 could have prevented the bombings. But they believed the nine recommendations they were proposing would help protect the public, he said. He added: "It would be a profound consolation for all the represented bereaved before you if they could make, through your Ladyship, some contribution to the better protection of national security and potentially to the saving of lives in the future." Two of the suggested recommendations relate to the accuracy of the information provided by MI5 to the Parliamentary Intelligence and Security Committee (ISC), its watchdog. Mr O'Connor argued mistakes in a major ISC report about the attacks could undermine MI5's reputation and ability to do its work. MI5 should review its procedures to ensure records about "significant operational decisions" are made and preserved, the families have also recommended. The lawyer used the example of an MI5 officer who correctly proposed a link between a group of men from Leeds, later discovered to include two of the 7/7 bombers, and a Briton who received terrorist training in Pakistan. He said there was no suggestion that this was recorded anywhere and argued that it demonstrated the "fragility" of MI5's record-keeping. Two further suggested recommendations cover looking at improving computer systems so strands of intelligence can be drawn together and MI5 has better access to information held by other agencies. Mr O'Connor cited evidence that police watched plot ringleader Mohammad Sidique Khan give a short lift to a known extremist in 2003, but this was not linked with other intelligence about the future bomber. "Here is a little piece of what might appear to be at the time pretty insignificant information of itself," he said. "It may lie there for months for a few years. But it may then, if it can be retrieved, become part of a network of clues which may become very significant." Although Lady Justice Hallett has not indicated how long it will be before she comes back to court with verdicts, it is expected to be before Easter.